Professional integrity is a critical component of quality research, education and practice. Respect, understanding, and appreciation of the diverse needs and interests of others are necessary to achieve mutually beneficial interaction among academicians, practitioners and students. Free and open discourse and interaction among academician, practitioners, and students are essential to the origination and evaluation of new ideas and the improvement of financial decision making. Open governance, broad-based participation, and continuous improvement in quality of services are critical to achieving FMA International's mission. 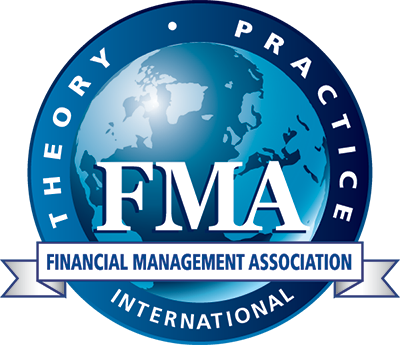 Financial Management Association International is to be the global leader in developing and disseminating knowledge about financial decision making. broadening the common interests between academics and practitioners. providing opportunities for professional interaction between and among academics, practitioners and students. promoting the development and understanding of basic and applied research and of sound financial practices. enhancing the quality of education in finance. In partnership with each of the Financial Regulatory Committees, FMA lists statements for US, Asia and Europe for its members. Click here for more information.